Imagine if you will... someone who is knowledgeable about antiques and treasures and the local real estate market. Imagine no more. My name is Jaylene Brown-Calmenson and I am that person. 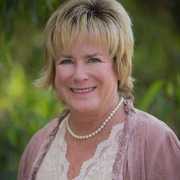 I am current owner of Paisley Farms and Salvage and I'm a Realtor with Blankenburg Properties. I am ready, willing and able to combine my knowledge of antiques and treasures and real estate so that I can give you reliable, local and professional services. Rely on me to find the home that meets you and your family's needs and rely on me to get your home ready to sell. As a resident of the Central Coast for 25 years, I have seen the fluctuation in the real estate market. I have watched the trends and can help advise you on what may be coming in the future. I started out as an investor and now want to share my knowledge with clients. I look forward to getting to know you; getting to work with you and your family. I also look forward to building a relationship with you so that you will want to share my name with your friends, family and co-workers.